Welcome to the web page of Salamanca’s thoracic surgeons. We are a team of 4 dedicated general thoracic surgeons, plus two surgeons in training, working on a public academic Spanish hospital (Hospital Universitario de Salamanca). 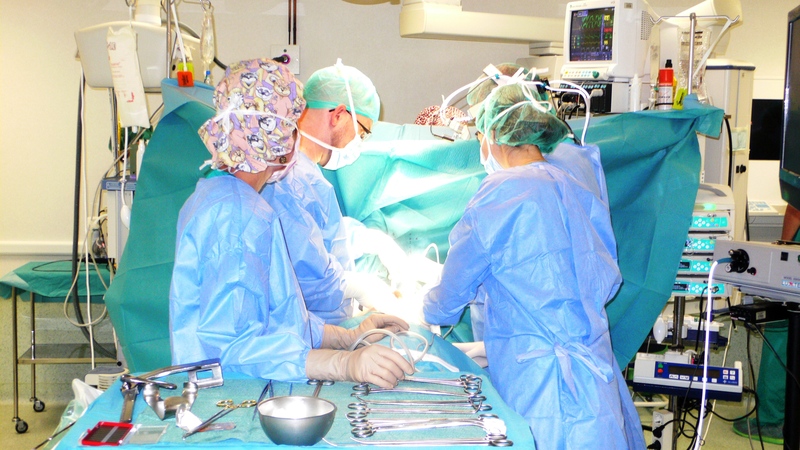 Our activities started in November 1993 and, to date, we have operated on more than 10.000 patients. You can find here some data from the current members and also a list of our original papers in peer reviewed journals. If you want to know something more, please drop us a message. This page is sponsored by BAXTER ESPAÑA. BAXTER ESPAÑA and the Castilla y León Heath Service (SACYL) do not endorse in any way the statements or opinions posted in this web site, which are the exclusive responsibility of the authors.